Ahead of Lok Sabha polls, Congress President Rahul Gandhi on Sunday made a poll promise that there are 22 lakh government job vacancies which will be filled up by the next year of March 31 if his party is voted to power. The grand old party has been criticising the Prime Minister Narendra Modi-led government at the Centre over alleged jobs crisis and lack of jobs creation in the country. "Today, there are 22 Lakh job vacancies in Government. We will have these vacancies filled by 31st March 2020," Mr Gandhi tweeted. 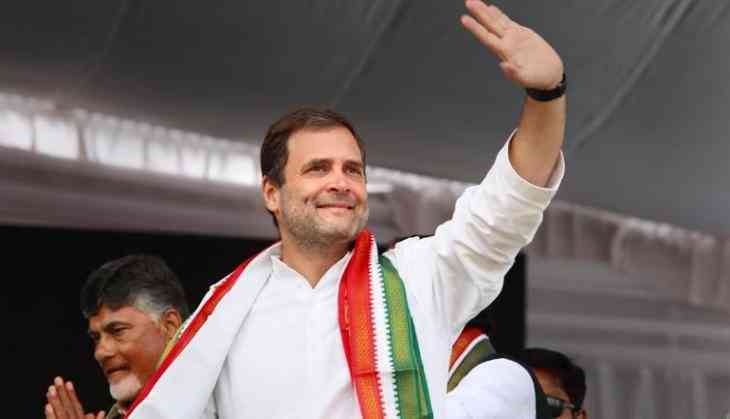 Congress supremo Rahul Gandhi made an announcement on Sunday that he will be contesting the Lok Sabha polls from two seats. Gandhi will contest the Lok Sabha polls from 2 constituencies, one from Amethi and another one from Kerala’s Wayanad parliamentary constituency. The polling for the national election begins on April 11 and ends on May 19. The counting of votes is schedule on May 23rd.